A birthday just before Christmas may seem unfortunate, but for me it isn’t, it’s one of the best times of the year. Most folk have started their festive celebrations and there is plenty of goodwill in the air. 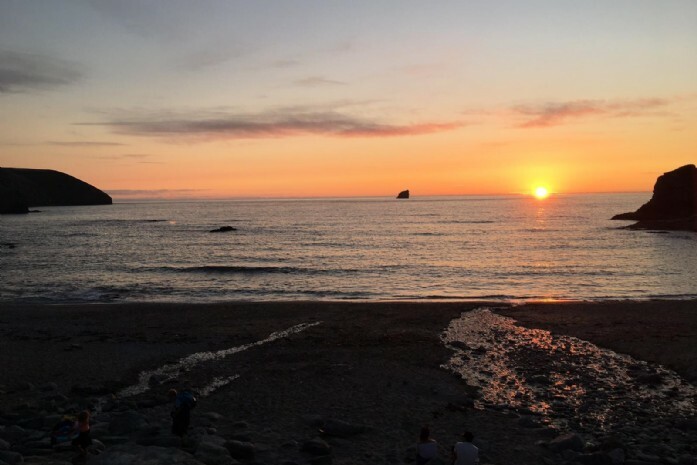 This year was no different and a weekend birthday break in St Agnes on Cornwall's captivating north coast was the perfect way to take it all in. 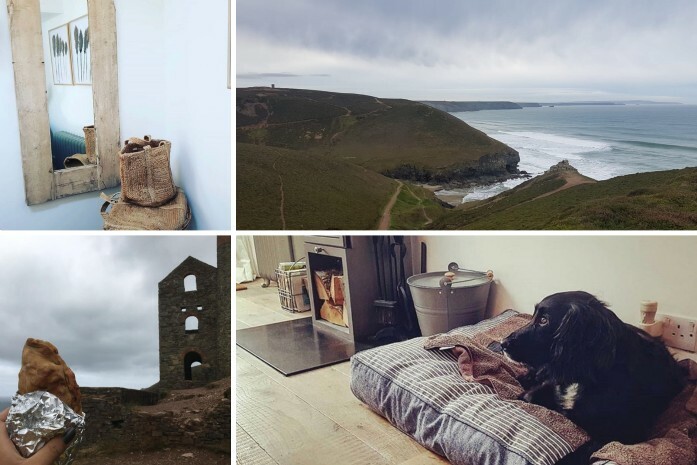 Sitting proudly along the coastal path overlooking Trevaunance Cove is Sea Cabin, our home for the weekend and the most wonderful bolthole making the most of the inside and outside space, perfect for a couple and a dog. Over the years, we’ve spent a lot of time in St Agnes (or Aggie if you’re a local!) but we’ve never stayed down in the cove itself; we're glad we did this time however, as the views from the cottage are simply breathtaking! The weather wasn’t very kind to us at points but that was the best excuse in the world to fire up the log burner and watch the weather roll in over the sea with a glass of wine. Alfie, our dog, knows not about bad weather so each morning we donned our walking boots and rain jackets to head out along the South West Coast Path, which you can step onto as soon as you step out of the front door. After these long walks or a quick run around in the cove, we always headed back to Sea Cabin to warm up. Cue toasting toes by the log burner and sweet hot chocolates. 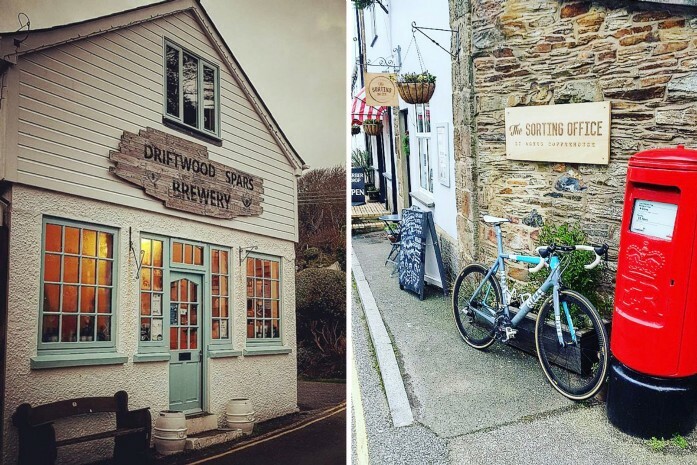 St Agnes is a village centred around good times, and with restaurants, bistros and cafes en masse, you barely need to wander far to fill your boots with tasty treats. By day, and when the weather allowed, we wandered up the hill to The Sorting Office, where the finest coffees and homemade cakes are served while evenings in the Driftwood Spars, set into the cliff opposite the cottage, are filled with finely crafted ales brewed on site and hearty meals conjured from the kitchen. 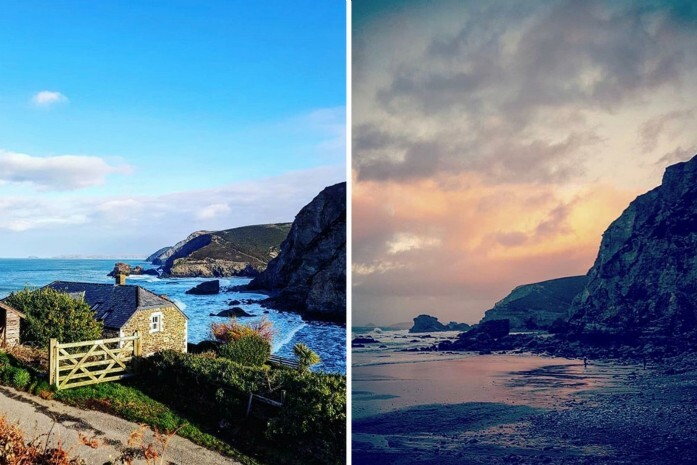 Visiting this idyllic village in winter is truly special and the summer will have us back to experience the stunning sunsets this Cornish coast has to offer. Ben is a guitar player and dog lover who enjoys indulging in good food and luxury travel.